Attorney Robert Grunstein disbarred only after he filed a WSBA complaint and sued a WSBA Board member named attorney Ronald Meltzer. Meltzer managed to use his influence inside WA Court’s to get himself assigned as a the Court appointed guardian over Robert Grunstein’s mother’s trusts totaling millions. WSBA’s lead criminal counsel Linda Eide refused comment for this story. ” Silence is golden” and we’ve never been sued. First Amendment Defender Robert Grunstein’s true account of how the Washington State Bar’s political operative and lead counsel Linda Eide’s political attack forced Mr. Grunstein to take a closer look at corruption inside Washington State’s little whore house, also known as the Washington State Bar Asssociation. “Vendetta” tells the hidden story of an attorney who was pursued across the country by several sets of police and banned from all Ohio court review after publishing an editorial critical of a Bedford Ohio judge. It exposes the sequestered and organized corruption of a politicized state judiciary that intentionally failed on an alarming scale from the local to the federal level. The failure not only represents a ruined structure, but the grass-roots deterioration of American character. “Vendetta” shows how elected judiciaries fail and how judges, police, prosecutors and even court clerical staff turned institutions charged with maintaining ethical standards into criminal, personal interest groups. What should be a matter of national concern has been underpublicized among a population of over-educated salesmen (aka, attorneys). These pale conventionalists from Washington State have embraced fear and the failure of American Constitutional culture in exchange for income. The purveyor of this fear is Office of Disciplinary counsel and their staff of third rate minds and 9th rate characters. The history of Disciplinary counsel is curious. As part of the State Bar, it is a state agency created by statute but is run and controlled by the Supreme Court. It used to staffed by one or two representatives, but after the docket of complaints grew in the late 1980s and early 90s, the office was increased on an ad hoc basis. The accumulated files of complaints were administered but then there was nothing to do. The attorneys hired by Disciplinary Counsel were second- rate attorneys no one else wanted and who had no lateral mobility. Remember, in the Public Sector, stupid is better. So, the office adopted an agenda to maintain itself and now has 35 employees who are charged with finding fault and extorting legal fees from people it targets; under the protection of the WA Supreme Court. The irony is staggering and should induce existential nausea in everyone other than Joseph Stalin and Pol Pot. The WA Supreme Court is charged with reviewing cases administered by the business it runs, and the WSBA Office of Disciplinary Counsel is a business. Every year, scores of attorneys (almost exclusively sole practitioners) are charged by the bar. A common scenario is for the Bar to over-prosecute and then to negotiate with the targeted attorney for a lesser disposition in exchange for attorney fees to the bar for every activity it conducted against the attorney and the waiver of a hearing. Average amounts for a settled dispute without hearing (Admonition/suspension, etc.) are five to seven thousand dollars. That’s several hundred thousand to the Bar every year. If you choose to go to hearing, the initial hearing will be conducted by the Bar and a Hearing officer it chose using rules it wrote in cooperation with the state Supreme Court. The initial determination to proceed against you is made by a Bar committee. Your first administrative review will be before a panel chosen by the Bar. Your final appeal will be before the WA Supreme Court which is asked to judge a Respondent who provides income to the business the Supreme Court administers in the event penalties are confirmed. Can anyone say Separation of Powers? This is the type of conflict for which Bar brings charges on a regular basis. It’s a fact of life that maintenance values are stronger than moral values and anyone who challenges the bar is punished. Attorney Karen Unger was pursued for over two years. It cost her between 70 and 80 thousand dollars to defend against bad charges which were finally dismissed by a hearing officer who said “there is nothing here” and added that Bar appeared to have sequestered evidence in Unger’s favor. That hearing officer was never used again. An attorney named Schaefer was disciplined for exposing a judge who took bribes. Anton Miller was disciplined for writing a satirical poem about the WA Supreme Court. In 2006, the ABA did a study on attorney discipline in WA State. It ordered the bar to get discipline out of the state bar and said “the fox was in charge of the hen-house”. This was disregarded. Grundstein is a resident of Vermont who had been on inactive WA status for over a decade. He came to the attention of the bar after he published an editorial about a corrupt judge in Ohio. This judge was subsequently removed from office during the FBI raids in Cleveland, Ohio. Prior to the raids, a vendetta was pursued against Grundstein and perjured charges were brought against him. The prosecutor, judge, county sheriff and even the docket clerk connected to his case were removed from office. The prosecutor, sheriff and docket clerk were imprisoned. At hearing, bar amended its Complaint to ask for disbarment. This violates every rule on Due Process there is. The Complaint is not a moving target. After hearing, it removed all Grundstein exculpatory evidence from the record. Bar engaged in obstruction of justice, spoliation of evidence, fraud and federal and state crimes. The evidence included letters of recommendation and decisive exhibits in his favor. There were 42 in all. The Bar claimed Grundstein didn’t submit any evidence, even though it was entered over 80 pages of transcript and provided to bar before, during and after hearing again. When asked about “Brady v Maryland”, the bar said “Brady” rights didn’t apply to the Bar. 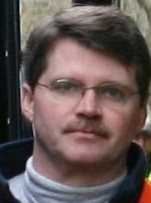 The Hearing Officer (Lisa Hammel of “Williams and Williams”; principal, Kinnon Williams is on the State Bar Judicial Selection Committee) permitted this to happen and refused to hold Linda Eide, Office of Disciplinary Counsel prosecutor, responsible. Grundstein filed for an appeal to the Supreme Court within 18 days. The Supreme Court would not hear an appeal despite the fact that it’s rules allow 30 days to file and that WA State is one of the few states whose Constitution guarantees the right of appeal. To expose the criminal behavior of the State Bar, Linda Eide, Lisa Hammel and the entire structure, Grundstein sued in the W. District of WA and Vermont. The W. District of WA abstained. As it turns out, the judge made his career in King county and refused to embarrass the partisan relations of a politicized judiciary. Vermont should be an entirely different scenario. Fascism does not necessarily include concentration camps, racism and shrill rhetoric. It’s the combination of political, economic and legal power in a small group of people only accountable to themselves. The judiciary becomes and interest group and rules on the basis of income distribution among favored people and the maintenance of professional status. This is worst where the judges are elected. WA State is one of only 4 states which has no limits on judge campaign contributions. The only people who can participate in such a legal system are the ones who should not have access to the administration and character of a legal system. 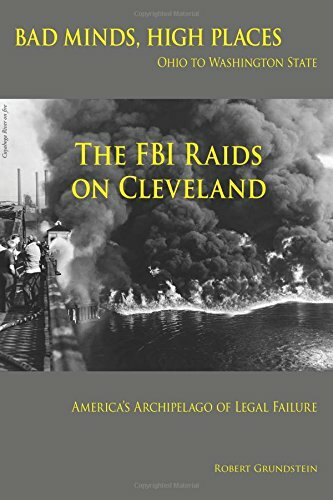 The FBI raids on the legal administration in Cleveland, Ohio and the special prosecutions in Phoenix, Arizona were necessary to intercept what were essentially coup d’etats. The Washington State Bar has proven that the best and most lucrative device for corrupt parties is an ethical system.